Many milling cutters are made of high-speed steel. This is adequate for many common materials and where the cutting speeds are not important. But where harder materials have to be machined or the rate at which material is removed is important, then harder cutting tools are necessary. The most common materials are carbides of various exotic metals. These include tungsten and titanium. These carbides are ground to very fine powders and then sintered with a cobalt binder to form solid pieces of “carbide”. There are several ways that carbides can be used. A Some cutters, particularly, endmills, can be made from solid carbide. Carbide endmills never have threads on them so they cannot be used on Autolock chucks. Tungsten carbide is very dense and solid carbide cutters can often be recognised by their weight or, rather, their density. B It is possible to make tools of steel and have carbide tips brazed onto them. 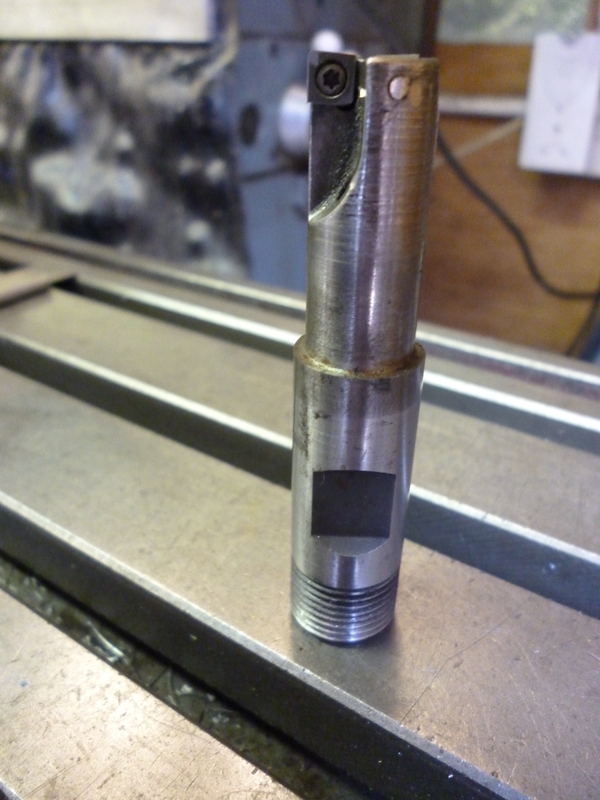 These are quite commonly used on the lathe but are uncommon for use on the milling machine. 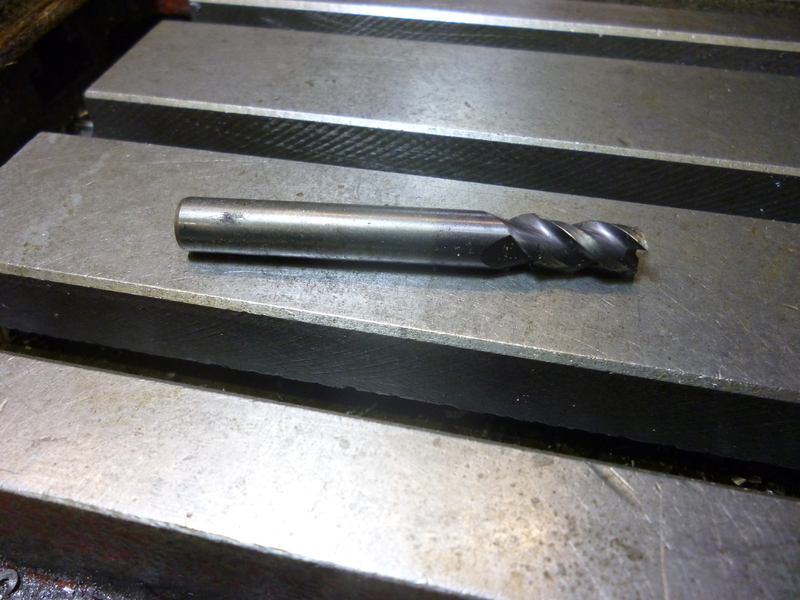 .This has three flutes one of which passes through the centre so its a bit like a cross between an endmill and a slot drill. Some inserts are made of solid carbide. Others are simply coated with a layer of carbide or some other exotic material. Some are not even made of carbide. There are two inserts here. The tip of one is at the edge of the cutter. The other is positioned so the cutter cuts the full radius so it is more like a slot drill. Carbide inserts are very precisely made. This means that if one is replaced by another the cutting edge of the second will be exactly at the same position as the first one had been. This is a very important advantage on CNC machines. All of these carbide cutters have the advantage of being extremely hard. They are useful for cutting hard steel alloys especially stainless steel. On the other hand they are very brittle. If they knock against a surface, though it is much softer, it is easy for the edge to become chipped and, consequently, useless. A carbide edge should never touch the workpiece unless it is moving. If a carbide cutting edge is chipped it can be so small it is very difficult to see. Sometimes if a fingernail is scrapped round the cutting edge of the insert it can be felt. Very often it is only the poor finish that shows the edge is chipped.